The national tour of Sister Act is kicking off in Toronto, and Broadway.com has your first look at the heavenly musical comedy. 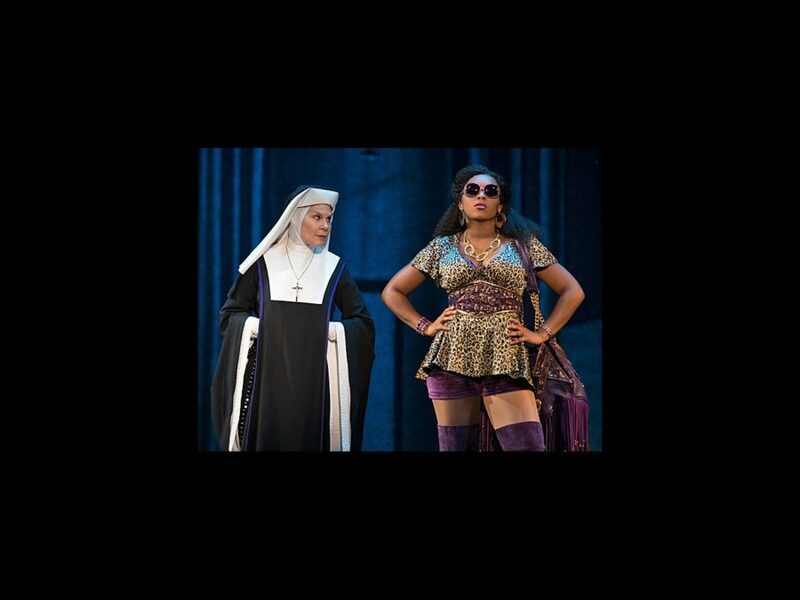 Check out these fabulous photos of star Ta’Rea Campbell as Deloris Van Cartier strutting her stuff and squaring off with Hollis Resnik’s Mother Superior. The show also features original Broadway cast member Kingsley Leggs as Curtis Jackson, Florrie Bagel as Sister Mary Patrick, Lael Van Keuren as Sister Mary Robert and E. Clayton Cornelious as Eddie Souther. Based on the hit film made famous by Whoopi Goldberg, Sister Act focuses on disco diva Deloris, who witnesses a crime and goes into hiding in a convent. Under the suspicious watch of Mother Superior, Deloris helps her new “sisters” find their voices as she unexpectedly rediscovers her own.